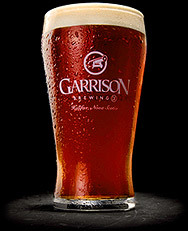 You’ll be one of three people responsible for the preparation, running, cleaning and minor maintenance of the brewhouse, cellar and support equipment used to produce Garrison’s award-winning natural craft beers and sodas. You’ll work as needed handling raw materials, brewing (in whole or in part), transferring product, monitoring and controlling fermentation and cleaning tanks, equipment and work area. While creative at heart, you’ll need to adhere to recipes and SOPs to achieve the highest quality product in a consistent, efficient and timely manner. You’ll answer directly to the Brewmaster and be responsible for working both independently and as part of a team. Attention to detail and flexibility are critical. You’ll generally work weekdays and evenings, but hey, beer never sleeps so occasional weekend shifts are required. The highlight of the job posting is that the job includes free beer. Apparently you also get a competitive salary and health coverage. Interested applicants are asked to send their resume and cover letter to mobermaier@garrisonbrewing.com or in person to: 1149 Marginal Rd, Halifax, NS. ← Moosehead Brewery Summer 2012 cross-Canada tour celebrating all things made well starts next Tuesday, May 22nd in Saint John, N.B.